Fun to use, motorcycles and off road vehicles have special needs that auto insurance doesn't cover. If you own a motorcycle or an off road vehicle such as an ATV make sure you are protected by getting insurance. Fun to use, motorcycles and off road vehicles have special needs that auto insurance doesn't cover. If you want your cruises and off road rides to be enjoyable make sure you have motorcycle insurance that is right for you. Petruzelo Insurance has over 50 years experience providing Connecticut motorcycle and off road vehicle owners with insurance solutions for a wide variety of motor bikes, ATV's and mopeds. 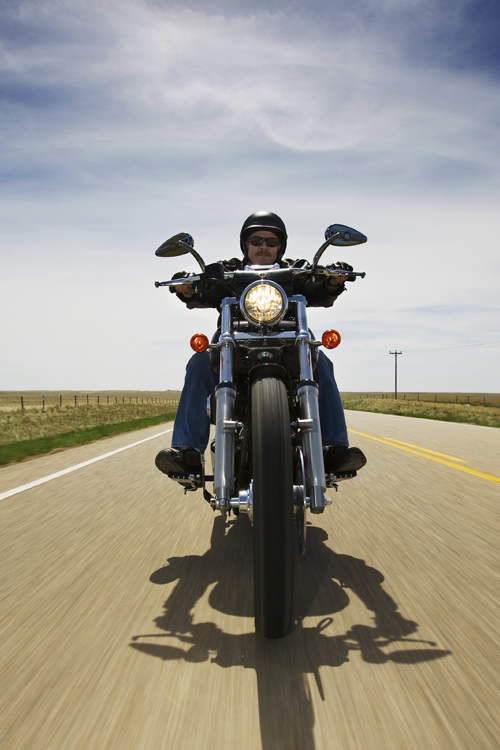 The more you know about motorcycle insurance the better decision you can make regarding your policy. You will want to discuss coverage for yourself and others including: bodily injury, property damage, medical payments and guest passenger liability. Liability coverage is required coverage that protects you in case bodily injury or property damage occurs to others and you are at fault. You Are a Safe Driver, But Are They? Even if you are a safe driver, you can't guarantee other drivers will be as cautious. As most motorcycle owners know, they are rarely noticed by other drivers until it is too late. If you own a motorcycle in Connecticut and want to cover your vehicle, yourself and your passengers, consider sitting down with an agent at Petruzelo Insurance so you can get the information you will need to make a sound off road vehicle insurance decision.